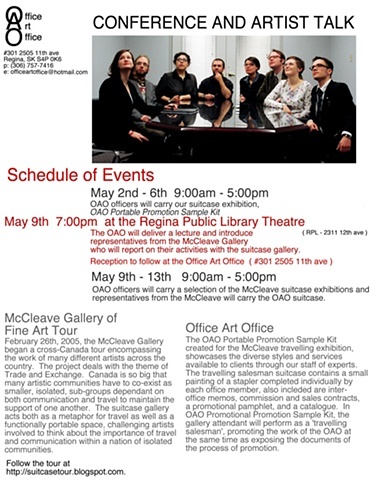 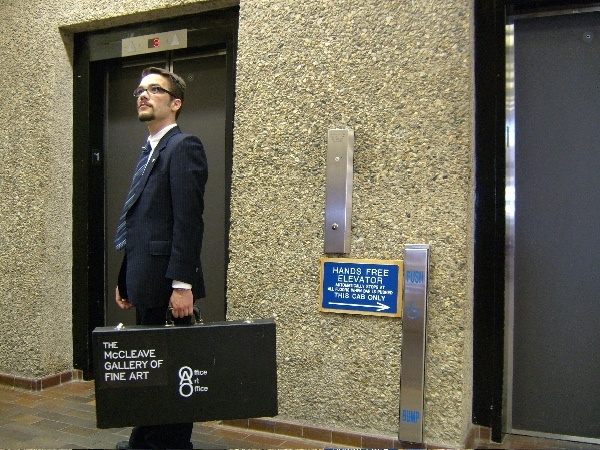 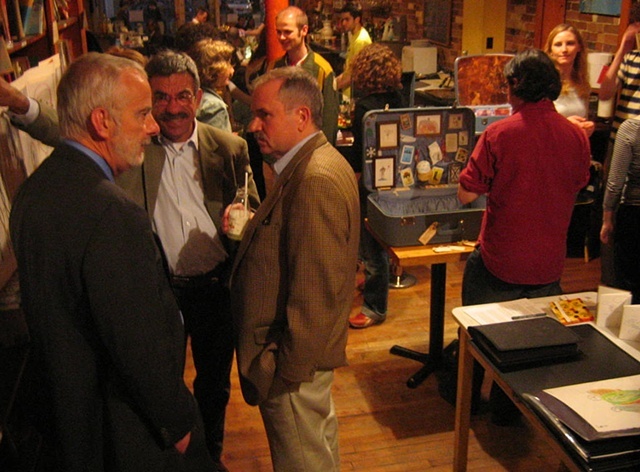 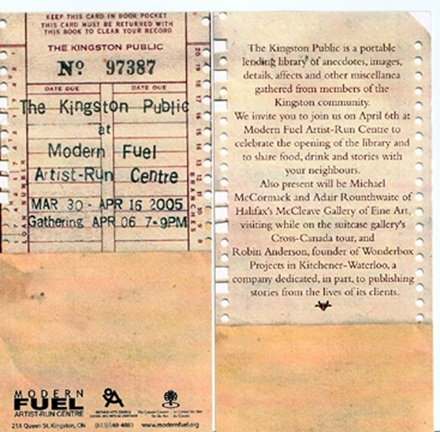 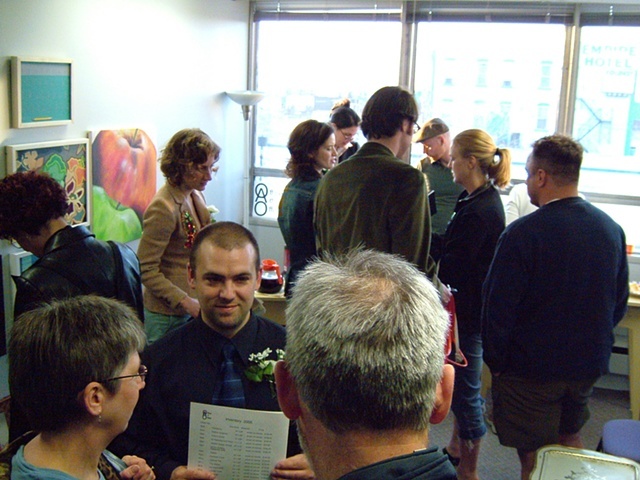 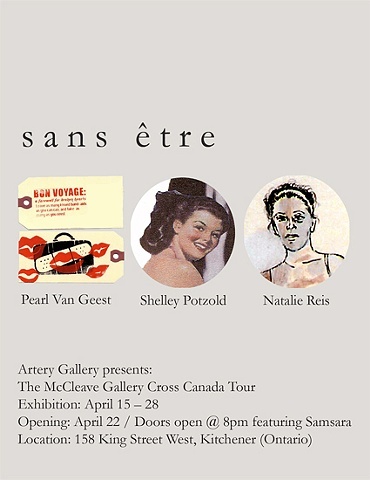 Beginning February 26th, 2005, the McCleave Gallery commenced a cross-Canada tour encompassing the work of many different artists across the country. 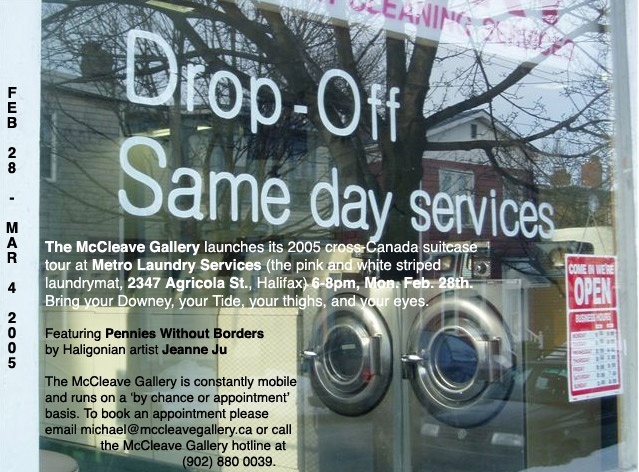 The project dealt with the theme of Trade and Exchange, functioning as an art relay in which Michael McCormack and Adair Rounthwaite traveled from east to west, collecting and displaying suitcases along the way. 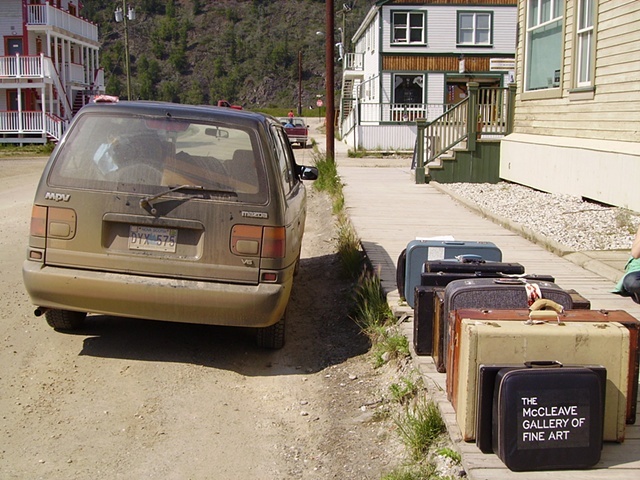 At the end of the tour, and along the way, there were scheduled gallery exhbitions, with a finale at the ODD Gallery in Dawson City in September and October 2005, displaying all of the suitcases accumulated during the trip concurrently. 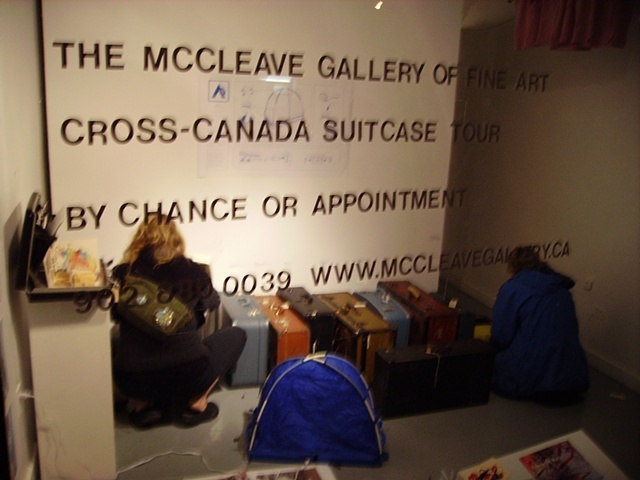 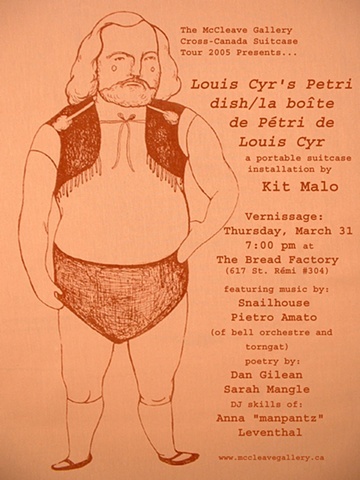 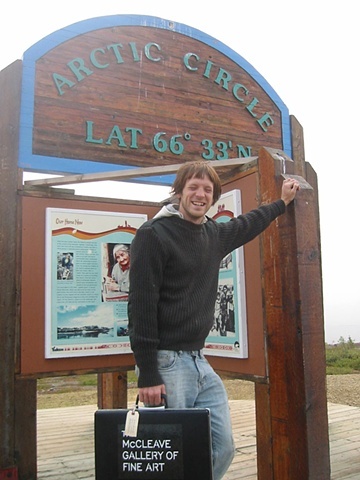 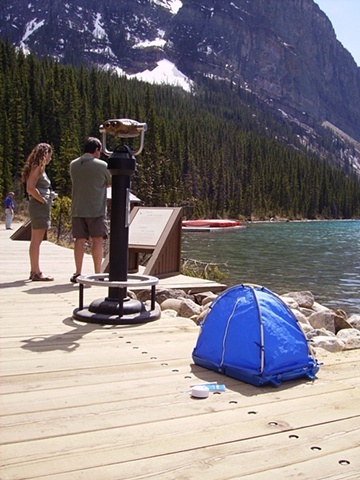 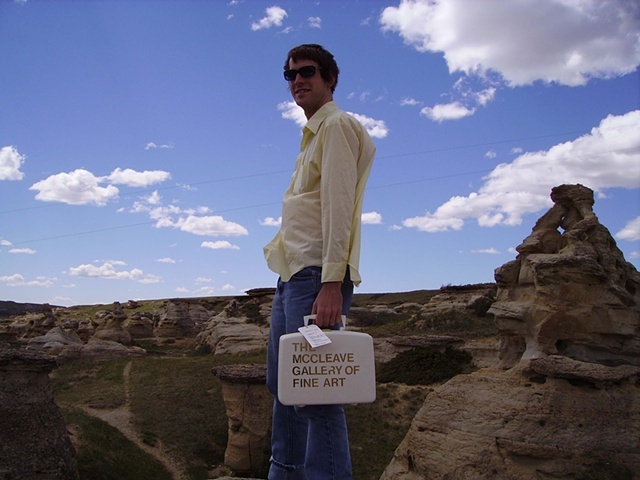 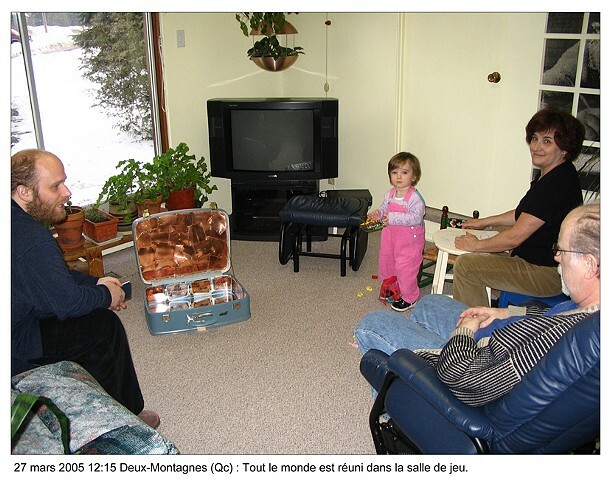 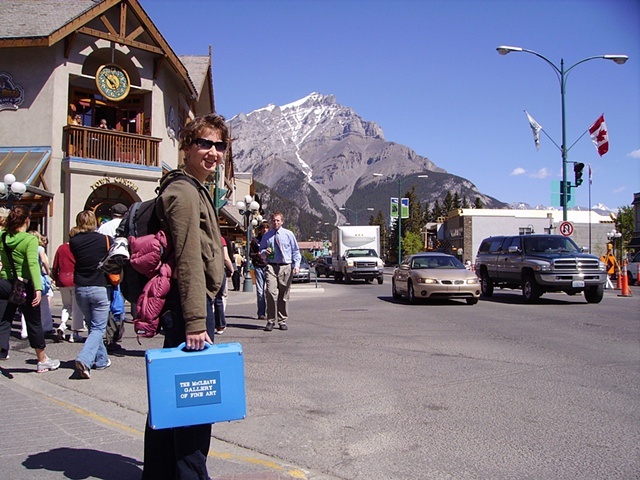 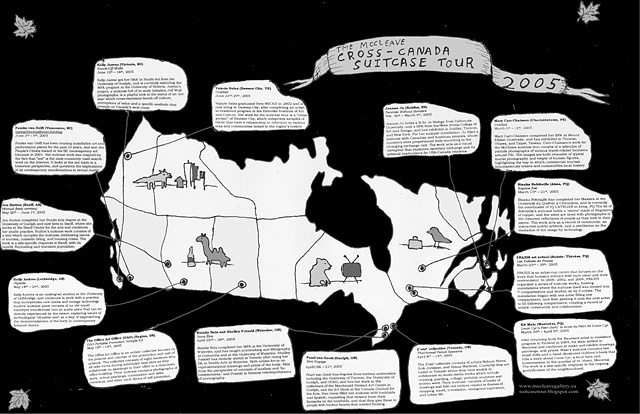 Curators' Statement: The McCleave Cross-Canada Suitcase Tour, 2005.